Plenty of football action all last week with Round 1 completed in all competitions, from Senior 1 right down to Junior. A tonne of games played right across the county. Last night we gave you a full rundown on the Senior 1 competition, and tonight we bring you all the results from the Dublin Senior 2 Football Championship. Eight games played across the four groups. And these results determine the pairings for the next round. Round Towers, who finished top of the group last year didn’t get off to the start they’d have wanted. St. Maurs, who were bottom of Group 4 last time out stole the points on a 1-16 to 1-10 scoreline. Maurs now have the task of facing Cuala in the next round. The Dalkey men were impressive in their opener, finishing thirteen points clear of Fingallians with a 2-16 to 0-09 final score. 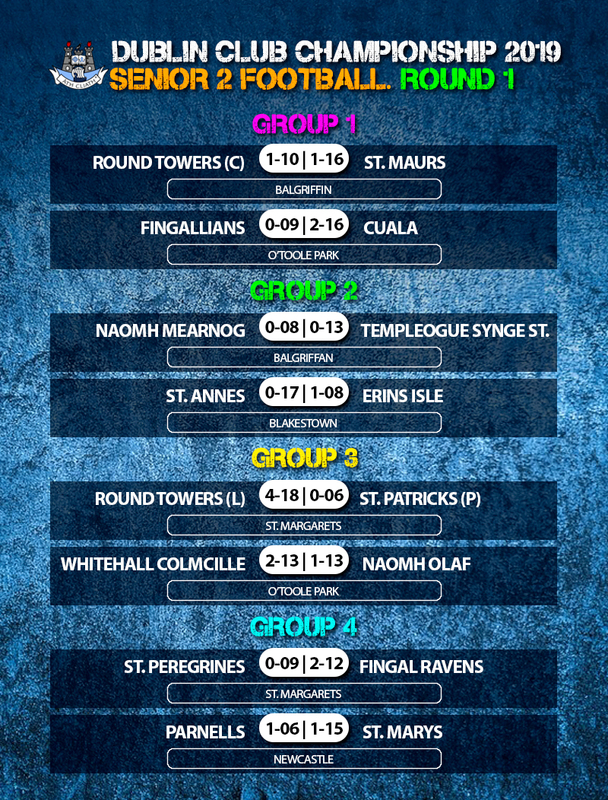 Synge Street finished finished second in their group last year and one more win will see them there or thereabouts. Newly promoted Round Towers of Lusk got off to a rousing start to their Senior 2 campaign with a comprehensive 4-18 to 0-06 over St. Patrick’s of Palmerstown. Up next for them is Whitehall Colmcille who finished a goal ahead of their opponents Naomh Olaf on a 2-13 to 1-13 scoreline. Whitehall were paired with Templeogue last year and finished just below them in third spot. And they’ll look to get off on the right foot against Naomh Olaf. It wasn’t the start Parnells would have wanted in the opening round having been relegated from Senior 1 last year. 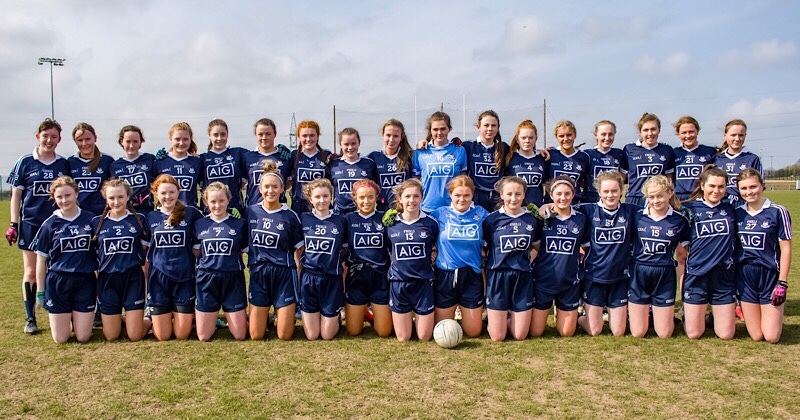 St. Mary’s handed them a defeat on a 1-15 to 0-06 scoreline. They’ll come up against St. Peregrines in Round 2, as Peregrines too lost their opening game. Fingal Ravens were responsible for handing Peregrines that defeat as the Fingal men won 2-12 to 0-09. They’ll be looking to keep the momentum going in their next game against St. Mary’s.